VERO BEACH, Fla. – The United States Golf Association (USGA) today announced tee times for the first two rounds of the 57th U.S. Senior Women’s Amateur Championship, Saturday (Oct. 6) and Sunday (Oct.7), at 5,817-yard, par-72 Orchid Island Golf & Beach Club, in Vero Beach, Fla. The U.S. Senior Women’s Amateur consists of 36 holes of stroke play on Oct. 6 and 7, after which the field will be reduced to the low 64 scorers. There will be six rounds of match play, starting Oct. 8. The quarterfinals and semifinals are slated for Wednesday, Oct. 10. The championship is scheduled to conclude with an 18-hole final on Thursday, Oct. 11, starting at 8:30 a.m. EDT. The 132-player field feature 12 Canadians, including defending champion Judith Kyrinis of Thornhill, Ont. Joining her is 2017 runner-up Terrill Samuel of Toronto and Canadian Golf Hall of Famer Mary Ann Hayward. Judith Kyrinis, 54, of Canada, won the 2017 U.S. Senior Women’s Amateur Championship by defeating Terrill Samuel, 4 and 3, in the final at Waverley Country Club in Portland, Ore. Kyrinis is a registered nurse at Toronto General Hospital and primarily preps cancer patients for surgery. She has competed in 14 USGA championships, including four Senior Women’s Amateurs. 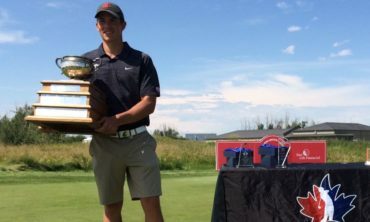 Her brother, Dan Allan, qualified for the 2016 U.S. Senior Amateur Championship. In September, she reached the Round of 32 in the 2018 U.S. Women’s Mid-Amateur Championship at Norwood Hills Country Club in St. Louis. Audrey Akins, 51, of Canada, won the Canadian Junior Girls Championship in 1980 at age 13, making her the youngest winner in championship history. She was a member of the Canadian team that won a gold medal in the 1986 Commonwealth Games, an Olympic-style competition for countries that were traditionally associated with the former British Empire. Akins, a 1980 graduate of the University of Oklahoma who works as an English teacher, won the 2016 Michigan Women’s Mid-Amateur Championship. Helene Chartrand, 62, of Canada, won the 2014 Canadian Senior Women’s Amateur Championship and finished runner-up in 2016. She is also the 2013 Canadian Women’s Mid-Amateur champion. Mary Ann Hayward, 58, of Canada, is the manager of sports performance for the Golf Association of Ontario. The four-time Canadian Women’s Amateur champion has been inducted into the Canada, Ontario and Quebec Golf Halls of Fame. In 2005, she won the U.S. Women’s Mid-Amateur as Mary Ann Lapointe. An eight-time member of the Canadian team in the World Amateur Team Championship, she also served as the team’s captain in 2008. Hayward advanced to the Round of 16 in last year’s Senior Women’s Amateur. Terrill Samuel, 57, of Canada, was the runner-up in last year’s U.S. Senior Women’s Amateur Championship, losing to fellow Canadian Judith Kyrinis, 4 and 3. It was the first time in USGA history that two Canadian players met in a final match. Samuel’s 80-year-old mother, Cam, served as her caddie for the 2017 Senior Women’s Amateur. 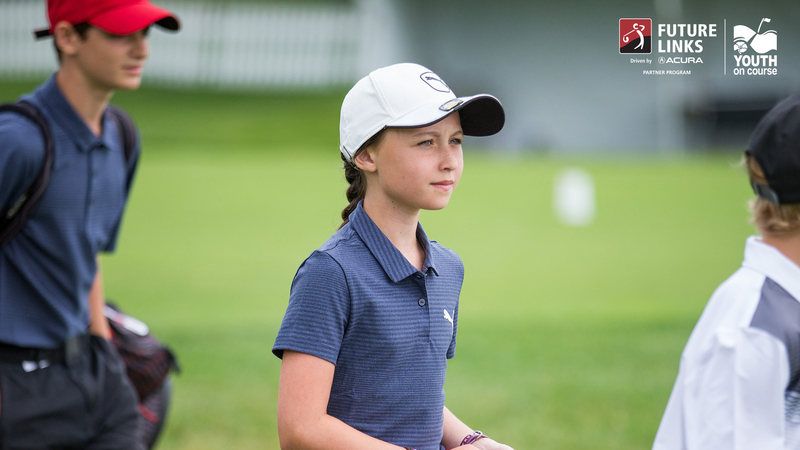 Samuel, who is competing in her seventh Senior Women’s Amateur, played in the Inaugural Senior Women’s Open at Chicago Golf Club earlier this year. She was the 2010 Ontario Mid-Amateur Champion and the 2011 Ontario Senior Champion. Samuel is a two-time Canadian Senior Champion, winning in 2012 and 2015. Samuel is a teacher and a high school volleyball coach in the Toronto School District. Gail Pimm, 58, of Canada, was a professional squash player for 10 years and competed in three world championships as a member of the Canadian team. Pimm was a teacher for 20 years and started playing golf in 2003. Jackie Little, 60, of Canada, was a quarterfinalist in last year’s U.S. Senior Women’s Amateur, losing to Patricia Schremmer, 2 and 1. 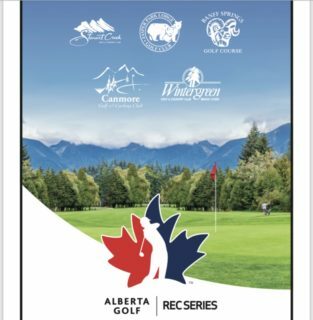 Little, who is competing in her fourth Senior Women’s Amateur, is a five-time winner of the British Columbia Women’s Amateur and British Columbia Senior Women’s Amateur, and a three-time British Columbia Women’s Mid-Amateur champion. 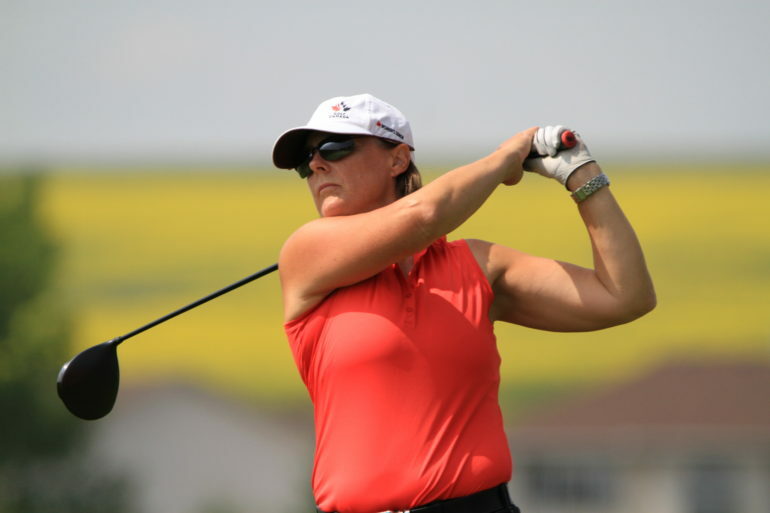 In 2008 and 2009, Little won both the Canadian Senior Women’s Amateur and Pacific Northwest Golf Association (PNGA) Senior Women’s Amateur, earning Senior Women’s Amateur player-of-the-year honors from both associations. She is a member of the Golf Hall of Fame of British Columbia (2009), Okanagan Sports Hall of Fame (2012) and the PNGA Hall of Fame (2017). She and her husband, Pat, formerly owned the Hollies Executive Golf Course in Canada. Click here for more information on the championship.